Knesset Speaker dismisses suggestions government likely to split over haredi draft law, says there is no reason to hold early elections. Knesset Speaker Yuli Edelstein (Likud) dismissed suggestions the Knesset should be dissolved and early elections called over the failure to reach a compromise between coalition members on the new haredi draft law. 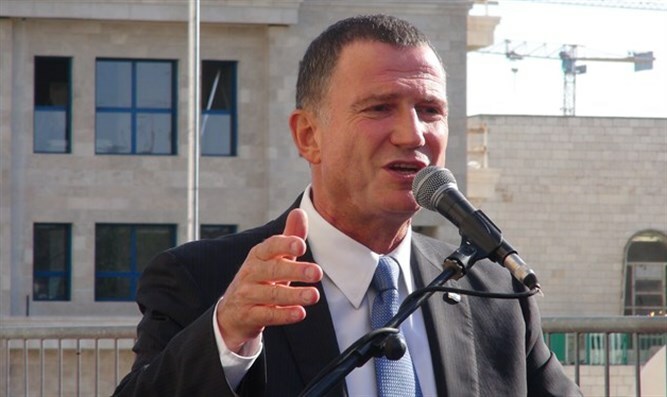 Speaking with Israel Hayom, Edelstein said he believes the issue can be resolved through negotiations within the current government, without the need for early elections. Last year, the Supreme Court tossed out the 2015 amendment to the national draft law, arguing that its continuation of open-ended draft exemptions for full-time yeshiva students constituted discrimination. The court gave the government one year to pass a new draft law – or face the sudden termination of the draft exemption program for yeshiva students. Haredi coalition members have lobbied the government to amend the country’s Basic Laws, allowing new legislation to circumvent the court’s ruling and preserve the current system of open-ended draft exemptions for full-time yeshiva students. But Defense Minister Avigdor Liberman (Yisrael Beytenu), who has in the past called for reforming the draft system with the goal of increasing haredi enlistment, has opposed the haredi proposal, submitting an alternative bill drawn up by Defense Ministry and IDF officials. Liberman’s bill would maintain open-ended draft deferments, but would impose mandatory quotas for enlistment in the haredi community, rising annually, which if are not met for three years in a row would lead to the automatic nullification of the deferment system. Financial sanctions would also be imposed on individual yeshivas which do not met enlistment quotas.